When the Trump White House press secretary Sean Spicer found himself being barraged with unpleasant US media questions at his first press briefing today, he called upon Pakistan-obsessed Indian-American Raghubir Goyal to ask a question. Goyal has been at the White House for over a decade. 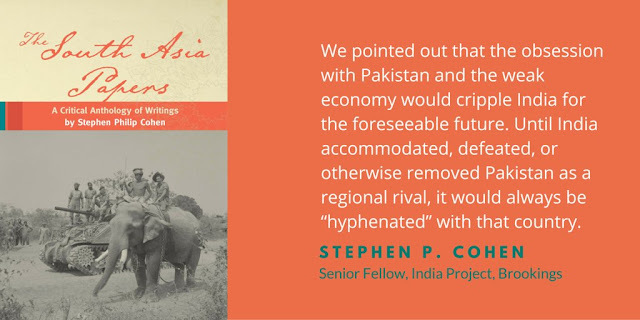 In 2002, the Washington Post said that Goyal can always be relied upon to "ask about the perfidies of Pakistan". His coverage of Pakistan reflects the Indian media's malice toward Pakistan. "The ability to change the subject is an important tool for the press secretary." George W.Bush's White House Press Secretary Joel Lockhart admits to using a foreign reporter as a foil. But his favorite foil was familiar to all: "If you're in a jam, go to Goyal," he says, according to Washington Post's Dana Milbank. National Public Radio veteran news anchor Robert Siegel has described him as "editor, publisher, in fact, the entire editorial staff of the India Globe, which he describes as a very small circulation weekly that targets Indian communities in the United States". "There's a whole bunch of foils in the White House press corps. There's characters from talk radio and all these specialty publications. Goyal is the most intriguing of them all, I guess you'd say, because he is very dedicated to getting a seat right up front at each and every event, and he almost invariably asks about what sort of terrible thing Pakistan has done in the last 24 hours. So--and because of the obvious sound of his name he became the `Goyal Foil.'" American media know the press secretary's tactics well and, when Goyal is asking his question, they see it as "a convenient cutaway point for CNN and other broadcasters who are carrying the briefing live", according to NPR's Siegel. It seems that Indian reporters' obsession with Pakistan is now an open secret in Washington, a fact that most likely contributes to hurting the credibility of the Indian media in the United States. The two of them will get along perfectly. One will ask for "alternate facts" and other will provide it. Btw, alternate facts is nothing new, Indian media has been telling it for 70 years, US is just catching up. Can the White House Revoke a Reporter’s Credentials? (An) unusual fixture (in White House Press Corps) is Indian journalist Raghubir Goyal, who reports on the White House for the India Globe, a publication whose website contains no content. Goyal is known for asking lengthy questions about India policy, particularly on Kashmir, no matter what else is going on in the world. He became known as "Goyal the Foil" during the Bush administration because of Press Secretary Scott McClellan’s habit of calling on him when facing tough questions from other reporters. Goyal recently raised some eyebrows by asking Gibbs about the Obama administration’s stance on yoga. Excerpt from Washington Post on There’s the major media. And then there’s the ‘other’ White House press corps. 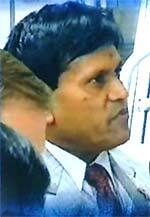 Another indefatigable member is Raghubir Goyal of the India Globe, which he says will reappear in a new website “any day.” Goyal has been slipping into (someone else’s) third-row seats since the Carter administration and is famous for asking questions about India, Pakistan and terrorism. People tell him that when he gets a chance to ask a question, he should “go with the flow,” but “I can’t go with the flow!” he says. During the George W. Bush administration, his name became a verb: the press secretary would “Goyal” a press conference by calling on the Indian to divert attention from more uncomfortable issues. So basically he is a typical Indian. Salgoankar: "And yes I lost a dear friend in that horrific (Mumbai) attac"
I'm sorry to hear that. Please accept my sincere condolences and my deep sympathy for the loss of your friend. Pakistanis, like you, have lost tens of thousands of family members and friends to terror in the last several years. I hope you can overcome your bitterness toward an entire nation and its people for the craven and inhuman acts of a few individuals. I lost several relatives in East Pakistan by Indian trained multi bahini terrorists. Your country introduced terrorism in South Asia, so stop playing the victim when you are the initiator of this evil. Your psyche has been like that since 1947, Mumbai is just an excuse. I guess then for each one of you there are six Indians. The ratio Is even more in favour of Indians among the Diaspora in the West. You can talk, rant, argue or blog but your voices will be smothered by Indian pillows. That was the global context of post-truth politics and its advent in the West. But as the US and UK wake up to this new era, it’s worth noting that the world’s largest democracy has been living in a post-truth world for years. From education to health care and the economy, particularly its slavish obsession with GDP, India can be considered a world leader in post-truth politics. India’s post-truth era cannot be traced to a single year – its complexities go back generations. But the election of Narendra Modi in 2014 can be marked as a significant inflection point. Ever since, the country has existed under majoritarian rule with widely reported discrimination against minorities. India’s version of post-truth is different to its Western counterparts due to the country’s socioeconomic status; its per capita nominal income is less than 3% of that of the US (or 4% of that of the UK). Still, post-truth is everywhere in India. It can be seen in our booming Wall Street but failing main streets, our teacher-less schools and our infrastructure-less villages. We have the ability to influence the world without enjoying good governance or a basic living conditions for so many at home. Modi’s government has shown how key decisions can be completely divorced from the everyday lives of Indian citizens, but spun to seem like they have been made for their benefit. Nowhere is this more evident than with India’s latest demonetisation drive, which plunged the country into crisis, against the advice of its central bank, and hit poorest people the hardest. Despite the levels of extreme poverty in India, when it comes to social development, the cult of growth dominates over the development agenda, a trend that Modi has exacerbated, but that started with past governments. The dichotomy of India’s current post-truth experience was nicely summed up by Arun Shourie, an influential former minister from Modi’s own party. He disagrees with the prime minister, just as many Republicans share sharp differences of opinion with President Trump. Shourie said the policies of the current administration were equal to his predecessors’ policies, plus a cow. ...there is an argument to be made that the US and the UK have been living in denial of facts and evidence for years. In 2003, after all, both the countries went to war in Iraq over the false notion that Saddam Hussein was harbouring weapons of mass destruction. Major social change does not happen within the space of a year. Yet, to a large number of observers around the world, the “post-truth” phenomenon seemed to emerge from nowhere in 2016. Two key events of 2016 shaped our understanding of the post-truth world: one was in June, when Britain voted in favour of leaving the European Union. The other was in November, when political maverick Donald Trump was elected the 45th President of the United States of America. Trump’s administration spent the third day of his presidency speaking of “alternative facts”, and making false claims about the size of the crowds that had attended his inauguration. For the rest of the world, the importance of both Trump and Brexit can best be gauged by understanding that they happened in the USA and in the UK. The UK was the key driving force of the world from the 19th century until the second world war, the US has been ever since. The US and the UK often have shared a similar point of view on many global geopolitical developments, as strategic allies or by virtue of their “special relationship”. Pakistan is eagerly waiting for a chance to use the soil of Punjab to destroy India, Prime Minister Narendra Modi said today, warning the electorate against voting a "non-serious" party and "those given to luxurious lifestyle" to power. Launching an assault on AAP, which has emerged as a key contender to power in the state, Modi branded it as an "outsider" that was "dreaming of creating its own world" at the cost of Punjab. Holding that the fate of Punjab was linked to .. The United States has unambiguously distanced itself from Indian Prime Minister Narendra Modi’s attempt to internationalise the Baloch issue and in the process has also assured Pakistan of its continued support to the country’s territorial integrity. “The US government respects the unity and territorial integrity of Pakistan and we do not support independence for Balochistan,” US State Department spokesman John Kirby told a recent news briefing in Washington. The Baloch issue came up at the State Department’s regular news briefing during the Eid holidays, when an Indian journalist asked Mr Kirby to explain the official US policy on “human rights violations and the fight for freedom” in Balochistan. The journalist reminded the US official that the Indian prime minister also was championing the Baloch cause and had raised it at various international platforms. Apparently not satisfied with Mr Kirby’s response, the journalist informed him that there were “persons and groups” in the United States who were working for Balochistan’s freedom. “Do you support – do you tolerate them (who are raising this issue) from US soil?” he asked. “As I said, the government policy is that we support the territorial integrity of Pakistan and we do not support independence for Balochistan,” said the US official, repeating his earlier stance. “So do you have any reaction to the Indian prime minister’s statements on that particular subject?” the journalist asked again. “I think I just gave you our reaction to events there,” Mr Kirby retorted. Yes, sir. Thank you very much. Two questions. One, Ambassador Richard Verma was in Washington. Suddenly, he had to cancel everything, and he rushed back to Delhi. What was the reason and who he was going to meet, or if he rushed from here back to Delhi, was he carrying any message from the secretary or from this building? He did have to reschedule his event at the Wilson Centre and, as far as I know, he’s returning to New Delhi. My understanding is that he believed that it was appropriate for him to go back. And I mean, he’s a – he’s got a big job, there’s a lot of responsibilities that come with it, and obviously it’s a very dynamic situation, and he felt it was prudent to go back. And we support that. Prime Minister Modi, he spoke about one thing – what he had a great message for the people of Pakistan that Pakistan and India both got freedom on the same day, but Pakistan is supporting terrorism, India is supporting ITs, engineers, and doctors around the globe. And what he said is Pakistan still has camps inside Pakistan who are attacking India. And finally, he said less attacks or fight against terrorism, hunger, and poverty; not against each other, each other peoples and let’s have a development. Any message that you may have for Pakistan on this or what Prime Minister Modi said? My message is the same as it was when Nike asked me about it. I mean, we understand that both militaries are in communication; we encourage that. We’ve expressed repeatedly our concerns about the danger of terrorism, cross-border terrorism, as well, in the region, and we continue to urge actions to combat and delegitimise groups like LeT and the Haqqani Network and Jaish-e-Mohammad. I mean, these – as I’ve said many times in answer to you, Goyal, these are shared common threats that everybody in the region faces. And we believe it’s important for everybody in the region – and we’re obviously willing to, and have proven, willing to contribute to those efforts – to take that on, to take that on as a shared regional challenge. And one more quickly, if you may I – thank you. Across the street today, US-India Security Council, a non-profit organisation, they had a high-class official from the Pentagon and other people also from the State Department. What they said that India and US relations have gone – have come from far away and they are moving forward and they are not now, nobody can stop them. So do you agree that future of India-US relations, what – according to their views and comments today? I haven’t seen those comments. That’s the first I’ve heard of it. What I would tell you is that we remain deeply committed to the bilateral relationship with India and to advancing it on – across virtually all sectors of public and private enterprise, and that I think you’re going to see us remain committed to that. Okay? All right, and then I’ll go to you. Has there been any calls made from – any high-level calls made to Pakistani leadership on the need to de-escalate tension in the region? I don’t have any calls to announce or read out to you. Last week, I got a frantic call from my friend V, who seemed very upset. “I can’t tell you what I’ve done!” he sobbed over the phone. “Did you accidentally slap your boss? “I did, I did,” he said, and began to wail so loudly I had to hold the phone away from my ears. I let him wail peacefully for five minutes. He blew his nose extensively, which seemed to calm him a bit, but grated on my nerves. He then told me the whole sordid story. Apparently, V, a tax consultant, had attended a conference of tax consultants in the Bahamas, which is a Mecca for tax consultants, and a favourite tax haven of patriotic Indian politicians, some of whom were his clients. One of the conference delegates happened to be from Pakistan, a man named — you guessed it — Khan. One balmy evening, after a day spent exchanging notes about the global best practices in tax dodging, V was having dinner in an open-air restaurant and generally minding his own business, when the Pakistani sat down at his table and began to make small talk. V, of course, put up a strong resistance. “Nice weather,” Khan had said. “I love your shirt,” said the Pakistani. “I’ve always condemned cross-border terrorism,” Khan said, helping himself to an olive. “You mean, you actually liked this Pakistani guy?” I said, disbelievingly. “That’s utterly shameful,” I said. I couldn’t believe my ears. “You are sounding like Arundhati Roy,” I said, which was the worst insult I could think of, and I hung up.